Fabulous11 Refer and Earn:- Fabulous11 is a Newly launched Fantasy Sports for Sports lovers to earn real money online. We can see a number of websites like Halaplay, Playerzpot, BalleBaazi, Fantain etc. are providing a chance to the users to earn real money online. So, if you are also an Online Earner and have good knowledge of Sports like Cricket and Football, you can play and win the huge amount. You can download the Fabulous11 app on your Android Phone from its official website. Though this is a new app and the chances of winning are so high. So, Don't be late Register and play on this app as soon as possible. if you don't know about Fantasy Sports (how to play, how to Create a team and how to win) don't be panic, just Read this post till the last and you will surely understand all terms of this online platform. Fantasy Sports:- Fantasy Sports is an online Platform where you have to give some Credits, through this credits you have to create your own virtual team. like if you are playing Cricket game then you have to make a squad or team including Batsmen, Allrounders, Wicketkeeper, and Bowlers. After creating your team or squad you have to choose Captain or Vice-Captain. After doing this, join any paid leagues that suit your wallet and sit back. When Match has ended you can check your teams' points and if you win you can withdraw winning amount to your bank as min. limit of different fantasy sports. Its all about who don't know about fantasy sports let's come ahead and see all the details of Fabulous11. 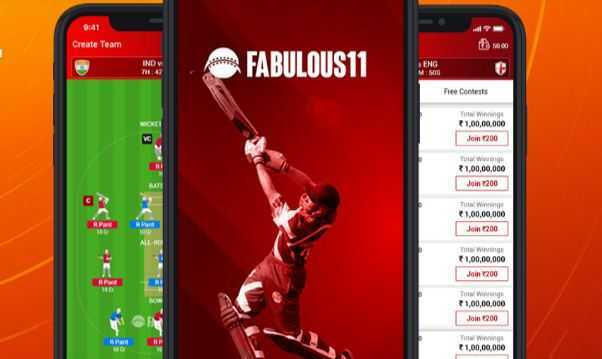 Fabulous11:- Fabulous11 is a new online fantasy sport that was recently launched on the 8th of August 2018. This is a genuine and trusted website created by some sports enthusiastic people. Only users above the age of 18 can play this game. The layout of this website looks very pretty and user-friendly. In this app users been given 100 credits to create their virtual team. The User has to select their best 11 players including Batsmen, Allrounders, and Bowlers from both teams using these credits. Users are the selector of their own team. The most interesting thing is that the user can edit their team till the last seconds until the match starts. This Features of this game helps the user to select those players who are playing. This feature increases the probability of the user to win more and more. Its all about what is Fabulous11. Now take a look that how you can get registered on this website or app. First of all, you have to go on Fabulus11. Here you have been asked to Download their App, Click on Android Logo and downloading will start. After completing the download install the Fabulous11 app. Open the Fabulous11 app and Click on "Sign Up here" given below. After that, You should be asked for "Entering Your Phone Number", Enter it. Verify your Phone Number just by Entering "OTP". Next, after this, you have to Enter your E-mail ID and Create your Fabulous11 password also to confirm your password enter again your password in next textbox. A new page will be open, here you can see many textboxes like Enter Your Name, Your City, Your State, Your D.O.B, Your Pincode and you have to fill all the textboxes. Below, There is a "Referral Code" textbox here you have to fill Referral Code because if you don't fill the Fabulous11 Referral code, you don't get any cash bonus. Keep ensuring that in the referral box Enter Referral code - 7mmO0f. Please read carefully before typing referral code that there is first character Capital O - O for Orange and next one is 0- zero. At last tick the terms and conditions and Click on "Submit Button". Successfully you have been registered on the Fabulous11 app. How to Play Fabulous11 Fantasy:- Fabulous11 is a new website and there are few users who played this game. So, we mean to say that its the perfect time for us to increase our online earning. If you play other fantasy sports then it will be easy for you and if you are a new user then follow instructions. So, Come and see how to play this fantasy game. First of all, Login your Fabulous11 Account. Here, you can see many matches with their Countdown that will be played in their fix time. Select any suitable match which you want to play. Click on it. You will see a Number of Paid or free leagues, just see below you can see an option"Create Team". Just click on it. Here, You have been given 100 Credits to create your team. You can select 1 Wicketkeeper, 3-5 Batsmen, 1-3 Allrounders, and 3-5 Bowlers. You can select Maximum 7 players from one team. Choose your players wisely like Cricketing Format, Pitch Condition, Weather Forecast, and Batsmen position etc. and then create your team. when you create your team its time to select your Captain and Vice-Captain. After, Creating your team, you can join any free or paid leagues. You can Create your best 7 teams per match. You can edit your team within last second of the match start. Fabulous11 Refer and Earn:- Fabulous11 fantasy provides refer and earn the option to their users. Through refer and earn you can earn more cash bonus. 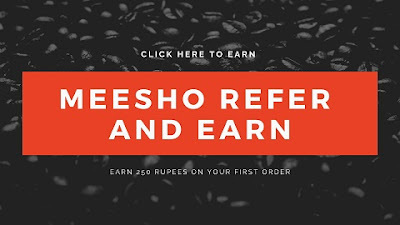 When you register with Fabulous11 Referral code, you will get Rs 100 cash bonus. If you have a group of some people that are also playing Fantasy sports. You can share your referral to them also tell him to type your Fabulous11 referral code. Recently they offer Rs 100 per referral but they saw many traffics on their site due to which they update their refer and earn terms & conditions. Now, the question is that how can we earn cash bonus by sharing, don't be overthink just share to your friends and when they verify their Phone and E-mail you will get no. money. When your Referred friend joins any paid league you will receive 10% of the league price. For Example When your referred friend joins Rs 100 league then you will receive Rs 10 to your wallet. This money will be the cash bonus. How to invite on fabulous11 Fantasy:- Now Invitation is also an important part to get the cash bonus by inviting our friends. let's take a look. Open the Fabulous11 app and you can see below there are four options like Home, Account, My Contests and More. Just go to the "More" Option. Here, you will see many options like Wallet, My Profile, FAQ, and many more just scroll down and you will get "Refer and Earn" Option. Click on it, You will see your Referal code and just below there is a button "Invite Friends". Click on it and you will see various apps (Facebook, Whatsapp, Telegram, Messanger etc,). You can share your message with your suitable media. This is the process "How to invite on Fabulous11 Fantasy". Economy Rate: In T20 & ODI Economy plays a crucial role so, select bowler carefully. Bowlers will get Economy when they bowl min. 2 overs in T20 and 5 overs in ODI. Strike Rate: Strike is also the main thing for Batsmen in t20 & ODI format. Strike Rate is applicable for a min. 10 balls played by Batsmen in T20 and for ODI is will be 20 balls. Adding Money:- Fabulous11 offer users to add money securely. The user can add money to wallet through various Credit/Debit Card, Net Banking, or Various Digital wallets. Be updated many offers they give to users while adding money. Withdrawal:- When you win 300 then you will be eligible to withdraw this winning amount to your Bank Account. but before getting this money please verify your Pancard and Bank Account details. They take 2-3 days to verify your personal details. After whole verification, you can withdraw winnings (Min. 300 and Max. 2,00,000) to your Bank Account. Only the age of 18+ can Play this game. User can play with a single Account only. Upload your Real and Original details. Payment will reflects your account within 3-5 working Days. If their are multiple winners, winning money distribution will be equal. Final Thoughts:- We hope you all learn about Fabulous11 fantasy and how to refer your friends to your Fabulous11 referral code. Very Soon, we will update Payment Proof that convinces you that fabulous11 is a genuine site.